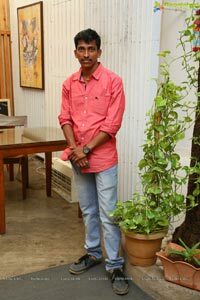 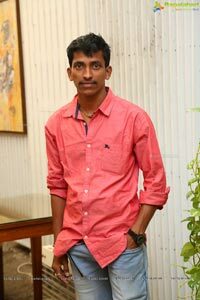 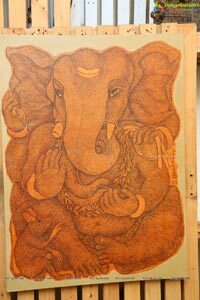 Artist Srinivas Mancha has been practicing since six years. 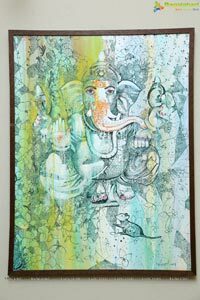 Painting as his medium of visual expression, he have worked extensively in various mediums as watercolor, acrylic and oil colors. 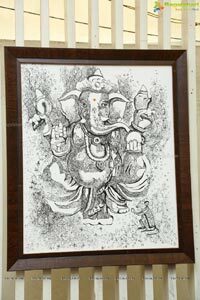 Srinivas has a strong foundation practice of Landscapes, Still-life and Creative compositions, which is very much reflected on his recent works. 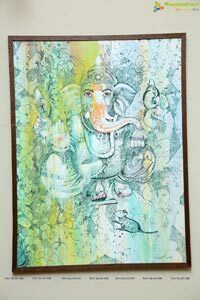 Inspired by Portuguese contemporary watercolourist Joseph Zbukvic, Srinivas has painted many watercolor abstract and realistic paintings. 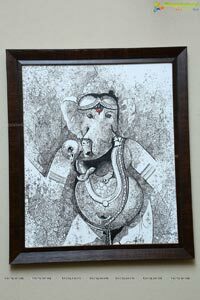 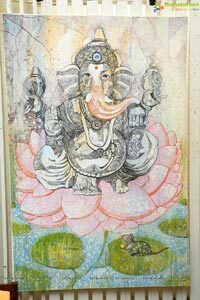 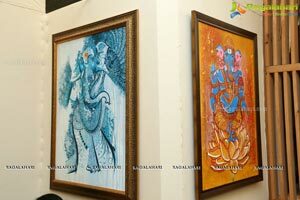 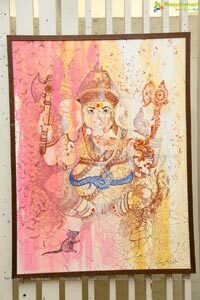 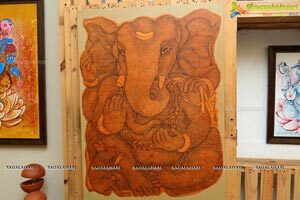 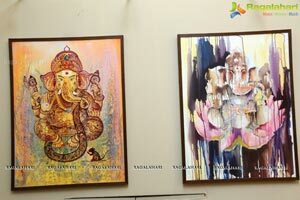 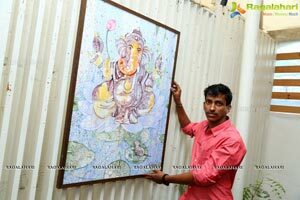 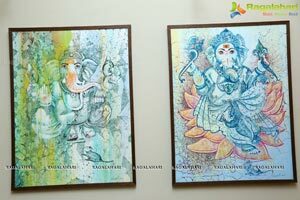 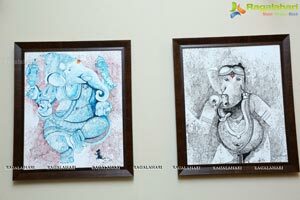 Avighna is a new series of Ganesha paintings by Srinivas Mancha. 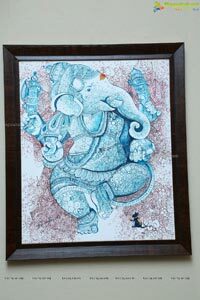 Avighna is a Sanskrit word for troubleshooter, which is also another avatar and name of Lord Ganesha. 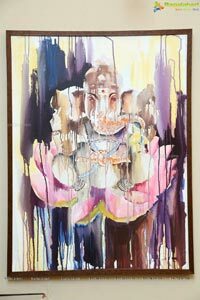 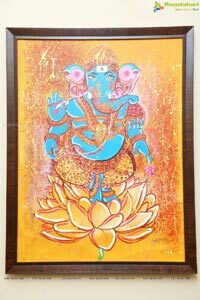 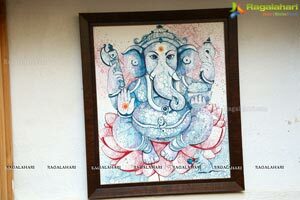 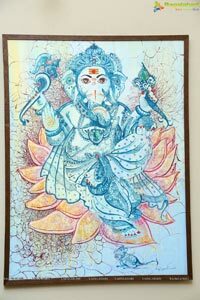 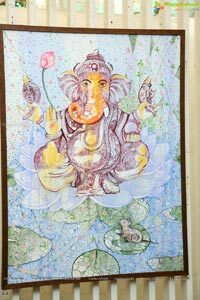 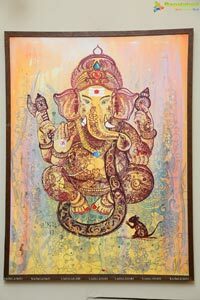 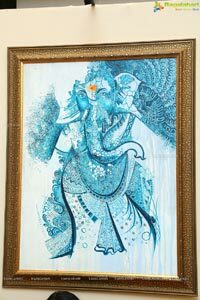 The semi-abstract style of painting Ganesha is visually appealing with auspicious colors and floral strokes. 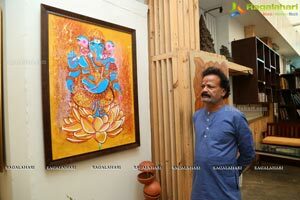 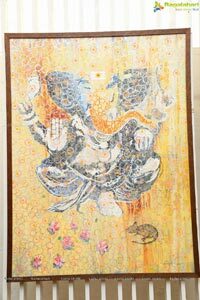 Srinivas Mancha has completed his BFA in painting from Telugu University, and currently working on a series of paintings inspired by the traditional saree making of Telangana.